Living a Fit and Full Life: Get Healthy, Younger Looking Skin with PCA SKIN® Products! Get Healthy, Younger Looking Skin with PCA SKIN® Products! Get healthy, younger looking skin with PCA SKIN® products! 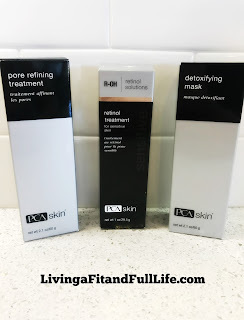 I had the pleasure of trying a few PCA SKIN products a while back and boy was I impressed! PCA SKIN® products have quickly become some of my favorite skincare products that seem to do just as they promise. With PCA SKIN, there are no false claims and I love how quickly I see results with these products! PCA SKIN's Detoxifying Mask is incredible! It contains Japanese white charcoal and clay that absorbs excess dirt, oil and debris leaving skin as clean as can be. After I use this mask my skin feels amazingly clean and my pores seem to shrink instantly. PCA SKIN's Pore Refining Treatment is another amazing product that I've fallen in love with! PCA SKIN's Pore Refining Treatment is a powerful exfoliant that uses three methods of exfoliation for dramatically smoother and softer skin while absorbing excess oil and impurities. It uses physical, enzymatic and cellular exfoliation with an advanced combination of ingredients to minimize pores. I absolutely love how smooth and radiant this product makes my skin and will definitely keep this product in my beauty arsenal! Retinol Treatment for Sensitive Skin from PCA SKIN is the perfect retinol treatment for those with sensitive skin! I absolutely love how quickly this treatment decreased redness and helped to even out my skin tone. I've always had some redness around my nose but since using this Retinol Treatment for Sensitive Skin the redness has all but vanished. I also love how radiant my skin looks, even without makeup. My skin looks fresh and clean and my dry skin has all but vanished. I absolutely love how well this product works and that I had absolutely no irritation whatsoever! 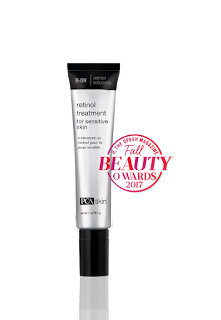 This treatment is perfect for those with sensitive skin who are new to retinol! 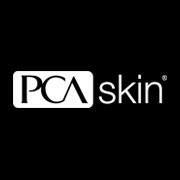 Click HERE to find a store near you that sells PCA SKIN Products! Click HERE to learn more about PCA SKIN! Follow PCA SKIN on social media!